If you could only own one Gingham shirt, it would be this version. Thoroughly classic from pattern to color, this is simply a must own garment. This style uses cotton cloth from one of the finest mills in Japan. It has a classic gingham check pattern in a great color palette. Bright royal blues are contrasted with crisp white checks. It's a timeless pattern and a classy color combination. We selected a buttery soft lighter weight material that works well for layering and the warmer months. We pre-wash to enhance the feel and to reduce shrink. You can imagine how this pairs with everything from dark blue denim to chino shorts. Our button-ups are designed to be the perfect compliment to our denim. They share the same dedication to classic American styling, a perfectly tailored fit and obsessive attention to detail. Our short sleeve button-ups fit just like the long sleeve. It shares the same beautifully tailored body, not too slim, but definitely fitted. High armholes keep the body lines clean. Scooped out sides give the untucked look a bit of extra style. 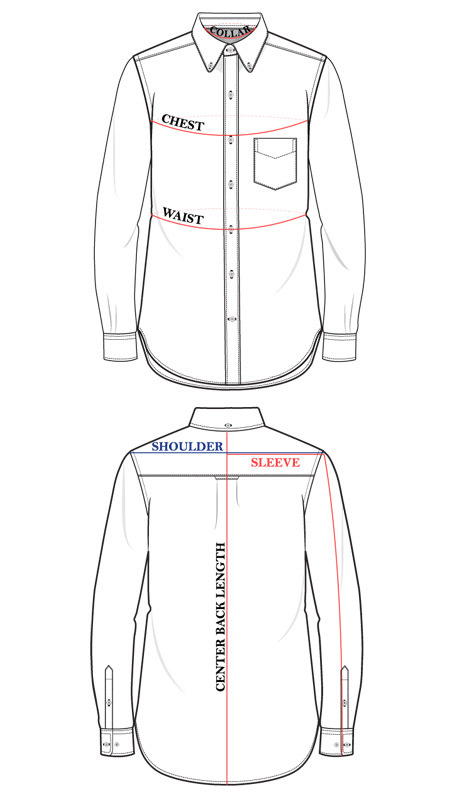 A traditional button down collar is secured with two side buttons and one back and has a nice soft roll.